Bulgaria’s government said, this July, that it decided to set up an executive council in charge of implementing a EU-backed project for creating an Alpine-Western Balkans rail freight corridor. 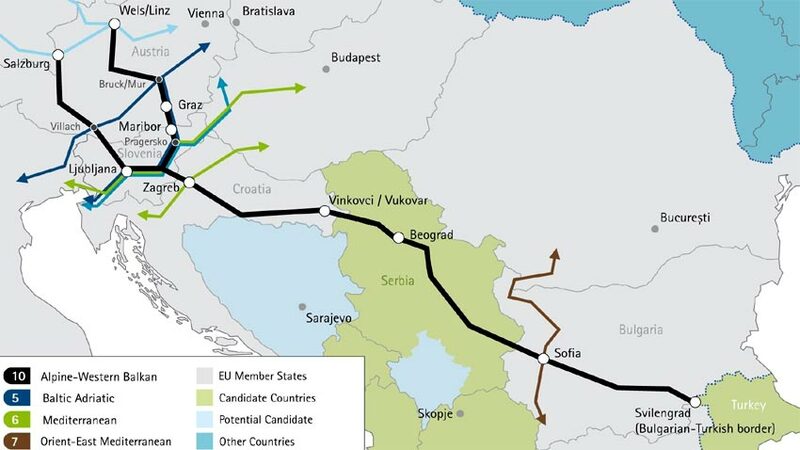 The corridor will cross the territories of Austria, Slovenia, Croatia, Serbia and Bulgaria, aiming to improve connectivity and trade with the countries of the Western Balkans, the government said in a statement following its weekly meeting. The European Commission decided, in March 2018, to set up the Alpine-Western Balkans corridor which should begin operations in two years. The principal route for the ‘Alpine-Western Balkan’ rail freight corridor follows Salzburg — Villach — Ljubljana —/ Wels/Linz — Graz — Maribor — Zagreb — Vinkovci/Vukovar — Tovarnik — Beograd — Sofia — Svilengrad (Bulgarian-Turkish border). The proposed corridor will complement the existing rail freight corridors in the South-Eastern European region, notably by providing access to regions so far not covered by the network of rail freight corridors. It will also provide an alternative routing to two existing rail freight corridors, namely the rail freight corridors Orient/East-Mediterranean and Rhine Danube. 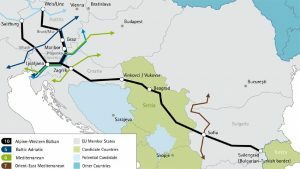 the corridor will create the basis for better interconnections between Member States and European third countries since it will include Serbia and facilitate the connection with Turkey at the Bulgarian-Turkish border, providing a direct link between Western/Central Europe and Turkey. The proposed corridor provides direct access to major terminals in the Member States concerned. Intermodal interfaces with the Danube and the Sava rivers are provided in different locations. In addition, access to sea ports, in particular the ports of Koper and Rijeka, is provided through the connection with other rail freight corridors. The infrastructure managers concerned have expressed their support for this new rail freight corridor. The executive council will manage and monitor the implementation of project’s objectives.